The light-skinned, 42-year-old woman, alongside other suspects, have been on the police list of most-wanted criminals for a while, after numerous complaints were raised by Ugandan girls in Malaysia. Karongo’s luck ran out when the police got hold of one of her friends, whom they threatened to arrest if she did not reveal the woman’s whereabouts. Karongo, it was believed, was out of the country. “The friend admitted that she knew her and her restaurant business in China, but she claimed she didn’t know that Karongo operated a brothel instead. She then took us to her home, where [Karongo] was arrested,” a detective told The Observer. Karongo was arrested on June 28 from her Kampala residence in Stella Zone, Najjanankumbi, from where the police obtained some items to exhibit in court. 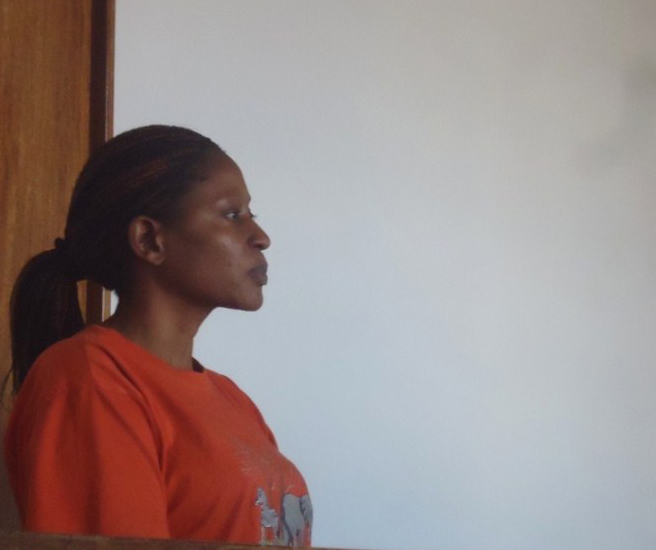 The Chief Magistrate’s Court on Buganda road today remanded Karongo to Luzira prison until July 20 after she was charged with trafficking in persons and aggravated trafficking in persons, contrary to two sections of the Prevention of Trafficking in Persons Act. This being a capital offence, Karongo could be sentenced to life in prison. In court was Grace, in her mid-twenties, who, for several days, endured Karongo’s deception. Sometime last year, as Grace hunted for a job in Kampala, she ran into an acquaintance, who said she would end [Grace’s] unemployment in an instant. Although this struck her as odd, Grace did not pay much attention to it. She would later regret. The man asked Grace for her passport in order to get her a Chinese visa. In the meantime, an agreement was reached that Grace would pay $7,500 for getting the job. She was to be a waitress at Karongo’s ‘African restaurant’ in China. With the travel issues sorted out, Grace was taken to a shrine in Kibuli for ‘cleansing and blessings’. It was here that she signed an agreement to repay the money in two months. The visit to a witchdoctor is mandatory lest, the girls are told, they run mad. Last July, Grace finally travelled to China, hopeful that this was the trip that would turn her fortunes around. “I was given $1,000 as ‘show money’ and two numbers to call for directions to where I would stay,” she says. It was then that she realised that something was not right. On coming out of the bathroom, Grace was presented with a set of skimpy outfits and high heels. Grace regained consciousness moments later with the help of a Nigerian man. Raging with anger and disappointment, she hurled insults at Karongo who, she says, appeared unbothered — all she [Karongo] wanted was her cut of $100 per night as the pimp. In fact, Grace recalls, Karongo phoned one Haruna, complaining that he had sent her a rather stubborn character. Something about her passport, which Karongo had already confiscated, was apparently unsettling: Grace had previously travelled. “I told you I don’t want girls that have previously travelled; they are stubborn!” Karongo complained to Haruna. Grace says she spent 10 miserable days in China, refusing to sell her body. All this time, the Nigerian man, who had apparently taken pity on Grace, gave her the money to pay Karongo. With her stubbornness proving a problem, Grace was bundled off to Malaysia, into the arms of Yahaya Lubowa Wamala and Juma Ssembatya, a notorious duo, together with their accomplice, Aisha Nantale, who are all wanted by the police for operating brothels and trafficking in humans. With such wanton assault, Grace made a proposal: that she buys her freedom. A fortuitous moment presented itself when Grace was allowed to roam the streets. She immediately went to an internet café and searched for the address of Uganda’s consulate in Malaysia. When she found it, she took a cab there and registered her complaint. The consulate is another story, Grace says. She could not stay there because it was overcrowded by Ugandan girls running away from the likes of Karongo and her syndicate. She was advised to return to the hotel as the consulate arranged her travel back to Uganda. Fortunately, she recalls, she ran into a Ugandan pastor who boarded her for the next couple of days. With space easing up at the consulate, she was called back. She remained here for months until she finally regained her freedom in January this year. For a girl who has experienced so much suffering, Grace appears to harbour no bitterness. In fact, her anger has very little to do with her own plight, but more with that of some two girls, one of them aged just 16 years. “That woman [Karongo] shattered the girl’s future, completely,” she says. The girl, who was 15 at the time, was impregnated by a Nigerian while in China. She was then transferred to Malaysia where authorities held her at the airport for months. As a result of stress and depression, she suffered a miscarriage that nearly cost her life. “That girl spent not less than two months at the airport in Malaysia, receiving the most basic treatment and feeding that was way below [what she required for] her state of health,” Grace says. Like her, the young girl, whose identity cannot be revealed, returned to Uganda with shattered dreams, a battered self-esteem and great worry about her health. The two, together with their colleagues, yesterday underlined their determination to see Karongo and her accomplices face the full extent of the law. *Grace is not the victim’s real name. We have withheld her identity to protect her privacy.